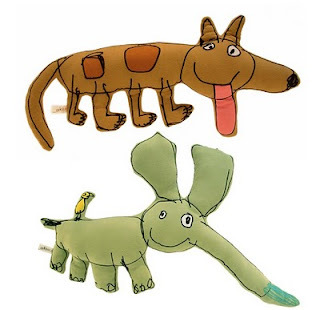 Each Aminals organic doll is inspired by the brilliant, unfettered imagination that only comes through in children's drawings. 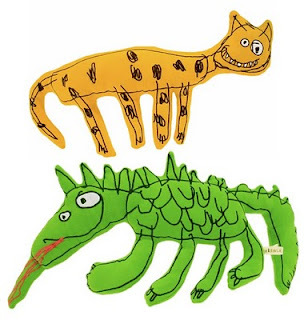 These organic kids toys embody the exaggerated proportions, squiggly lines, and bright colors that come with creative expression at its most honest and fun. 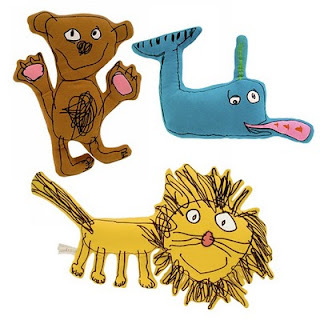 From these children's drawings, the designers at Dreaming Lion LLC have created a series of huggable-soft characters, each of whom has its own special story and is ready for new adventures with your children. 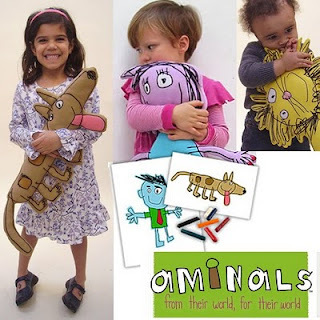 Aminals' motto is "from their world, for their world," meaning that the toys have been created from kids' creative lives for the future world that they will inherit. 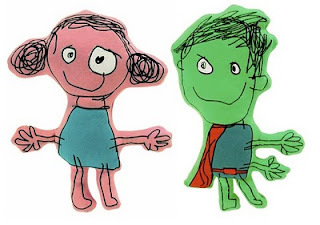 I really liked as children can be expressed without limits and with original and unique design, but who´re at an age to explore colors and shapes! This is a very nice idea. 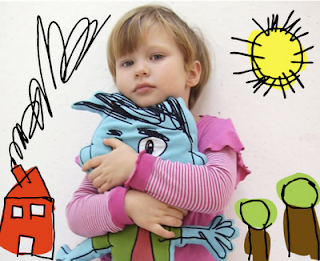 Helpful for the kid's health and also in their creativity. 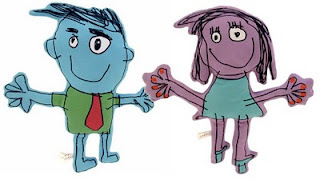 They get to express their feelings in it.